Through most of the season, Sidney Crosby appeared to be running away with the MVP title, but since missing the last quarter of the season with a broken jaw, has Alex Ovechkin now become league MVP? Pat: I’m of the belief that Ovechkin has done enough to at least garner significant MVP consideration, if not possibly winning the award. James: Ovechkin has definitely been on a tear recently but Sid is the MVP. He still leads the league in points and had the Pens on one of the greatest winning streaks in hockey history. He is the MVP. Pat: While everything you said is true and impressive, the Pens have not missed a beat without Crosby, or Malkin for that matter, and their team depth is coming through. The Caps go as Ovechkin goes as both their slow starts proved this season. 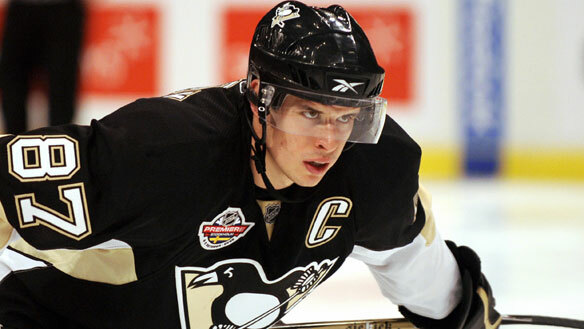 James: One could argue that the Pens are missing a beat without Crosby. He is the greatest player in hockey. Look at his wingers and the statistics they put up when he is around. Crosby is the MVP due to his body of work. If needed, he would be out there. James: I don’t disagree with you but how many times does the award actually go to the most valuable player to his team? The award goes to the best player, and a lot of the time, the best player on the best team. Sidney finishes first with Ovi a close second. Who is the team to watch this postseason? James: Your preseason pick is on fire right now. The Rangers look hot and have turned up the heat even higher as of late. Great goalie, solid defense and the team is scoring goals. They could be deadly in the playoffs. Pat: No doubt that the Rangers are coming on, but my team to watch is the Toronto Maple Leafs. Their team speed may be the best in the NHL and that, on a well coached team, can translate into great team defense. Team defense plus goaltending plus timely scoring equals Stanley Cup, and the Leafs can compete in all three aspects with nearly any team. James: You and I both know that if your goalie gets hot then it changes everything. On the flip side, if your goalie is streaking.. Cough cough Marc-Andre Fleury last year… It is gonna be tough for any team to get out of the first round. Pat: Ouch too soon, but you hit the nail on the head. Goaltending is the most important thing come playoff time. Another team that has it that could make some noise are the Columbus Blue Jackets. Sergei Bobrovsky will win the Vezina IF the Jackets make it in to the playoffs, and if they do get in, don’t treat them like the Jackets of old. 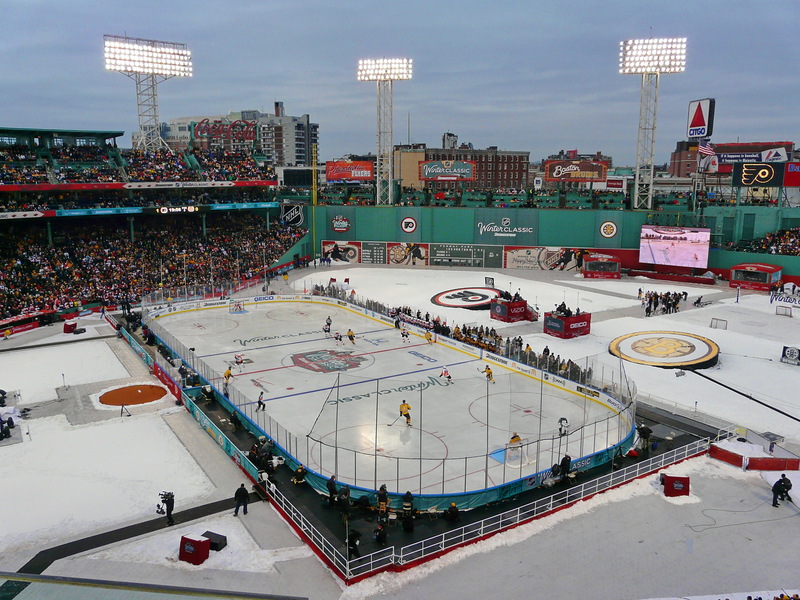 The NHL is finalizing plans to have six outdoor games in a league-wide series next season. Good or Bad idea? Which games would you most want to see? Pat: I’m for it as long as the multiple outdoor game format is not an annual thing. The appeal of the Winter Classic has faded a bit but still holds meaning. I’d hate to see the NHL over-saturate the outdoor game idea. As far as the games I’d want to catch, certainly the Ducks versus Kings in Dodger Stadium. It would be great for the exposure of the sport in California. James: I agree with you that it would be great for the sport to have the exposure to California but the more the merrier. The Winter Classic has lost a little fire but the outdoor games are great for hockey. Publicity, larger stadiums, different atmosphere. Obviously you miss the intensity of an arena but I’m really looking forward to six games! James: You’re exactly right on the fact that it is a step in the right direction to bringing the league back to prominence. The lockout was tough but the ability to host outdoor games creates a new audience for hockey fans. Do one a month!